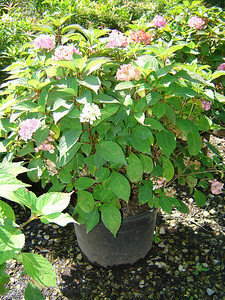 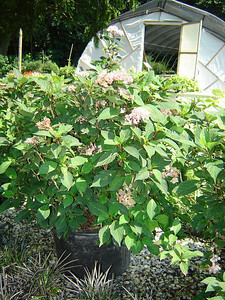 Hydrangea 'Preziosa' Preziosa is a cross between macrophylla and serrata. 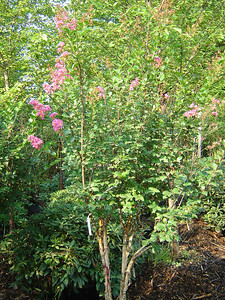 Mophead blooming white, pink, rose red to violet purple. 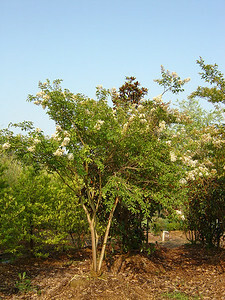 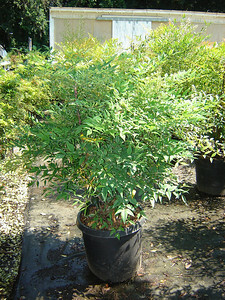 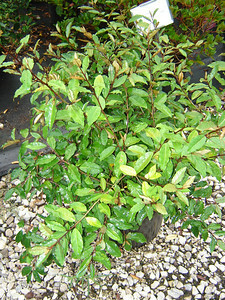 Nandina domestica Heavenly Bamboo 6-10' mature height. 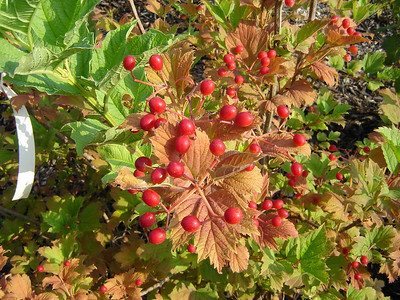 Leaves in winter turn red-green. 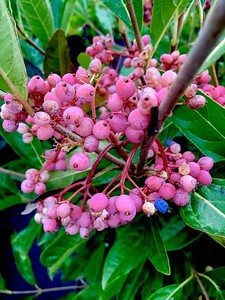 Berries fall through winter. 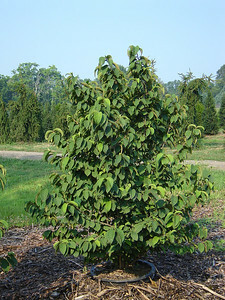 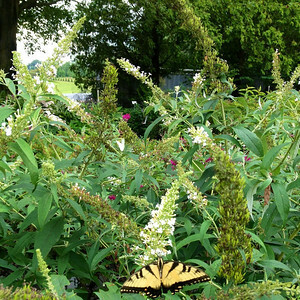 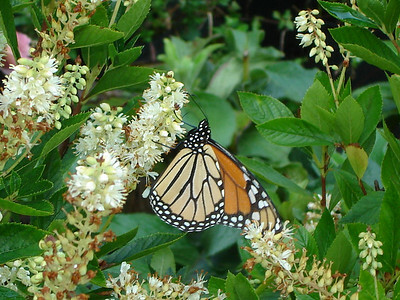 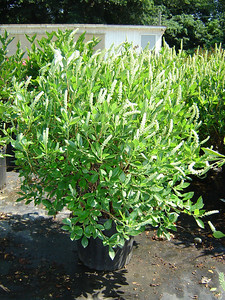 Clethra alnifolia 'Hummingbird' Summersweet Clethra; Sweet Pepperbush 30-40" mature height. 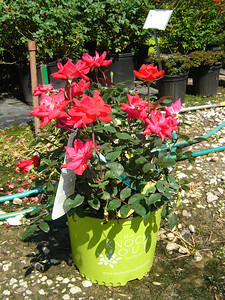 Rosa 'Double Knockout' Double flower, red rose. 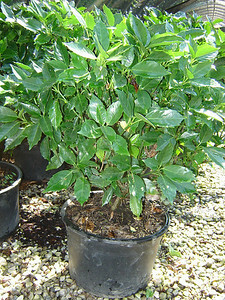 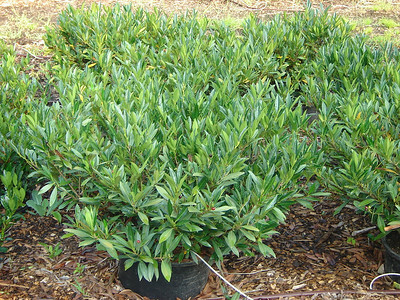 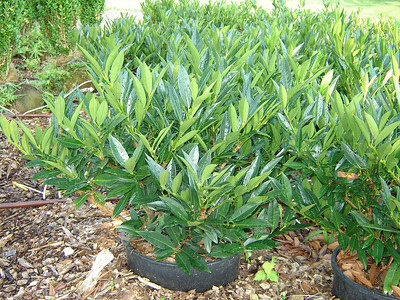 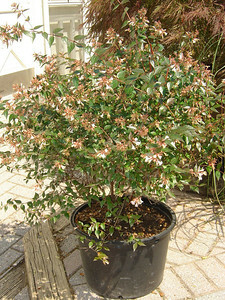 Abelia x grandiflora Glossy Abelia 3-6' mature height and width. 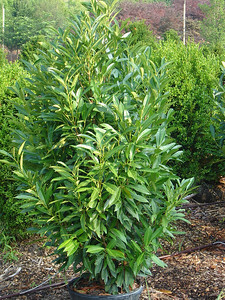 Semi-evergreen. 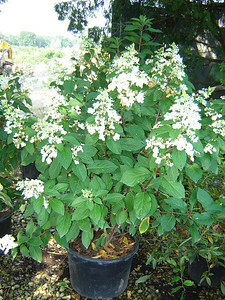 White flowers through summer into fall. 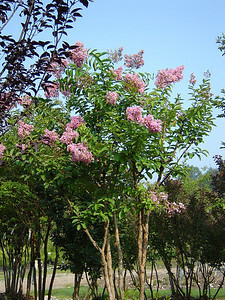 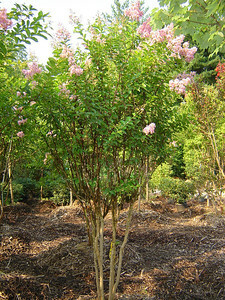 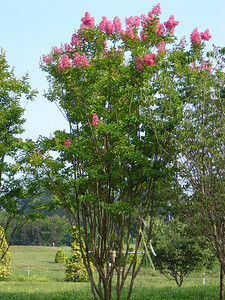 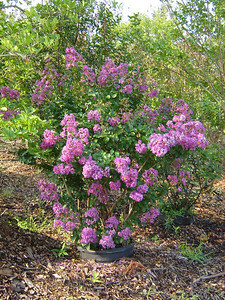 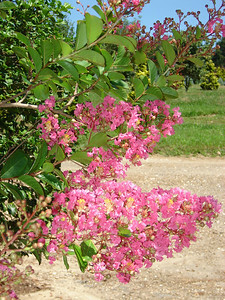 Lagerstroemia indica 'Miami' Crape Myrtle Dark coral pink flowers. 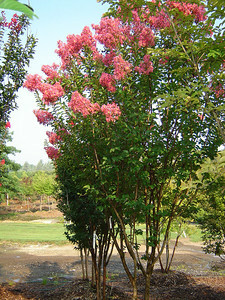 Leaves turning orange-red in fall. 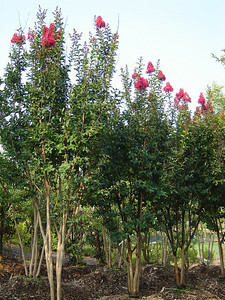 23-33' mature height.